Every year, towards the end of January, most Americans gradually start to get involved in their annual rite of Spring — beginning to prepare their IRS income tax returns. For some it’s relatively easy. For others, it’s a laborious process that can often require filing a 15 April tax extension while all the needed documentation and compilations are collected. It shows you how much more or less you’ll be paying under the new tax law. Try some “what if” scenarios to see variations. The Left and the press (redundant, I know) CONTINUE to claim that the tax reform benefited the rich while not helping most people. It’s a lie, of course, but it’s great to have a tool to test their thesis in your own case. In addition, accompanying the calculator are a number of sample common tax return scenarios, so you get to see the resulting numbers for different situations. 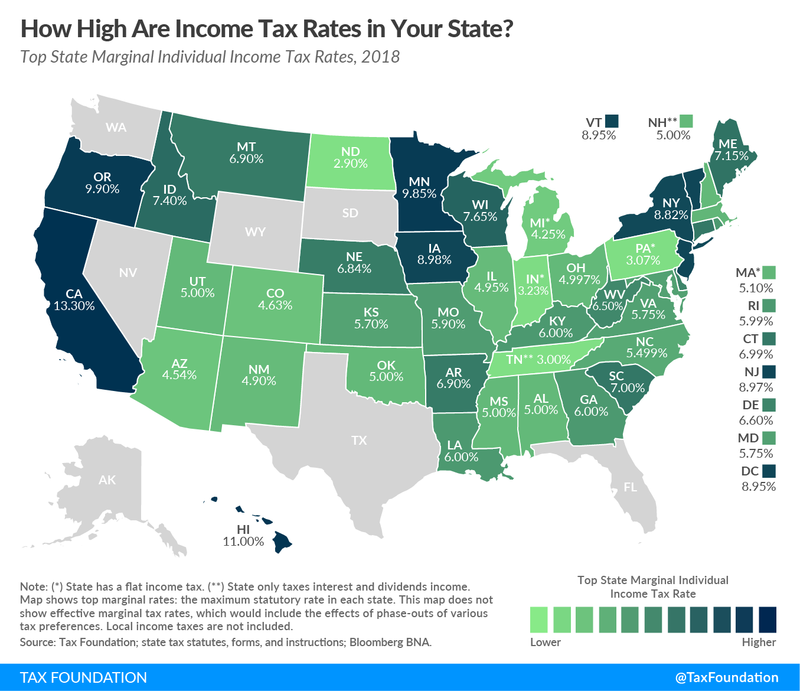 As many of you know, the one group that may pay more federal income taxes are the higher income earners in states with high state income taxes. Notably that constitutes the wealthy in California, Hawaii, Minnesota, Iowa, Oregon, Vermont, New Jersey and New York (especially New York City which has its own high individual income tax on top of the NY state income tax). But even most such folks will end up paying somewhat lower federal income taxes — though there ARE exceptions. On the same Tax Foundation website is another interesting interactive post where you can look up the 2018 federal income tax for various levels of income in every Congressional district! According to this graphic, the median of every income level in every Congressional district will end up paying lower federal income taxes, compared to 2017. This entry was posted on Wednesday, January 16th, 2019 at 1:29 pm and is filed under Blog Posts.